With oil prices soaring ever higher, Saudi Arabia stepped in last week and vowed to increase its production by 25% if necessary. But while that assurance managed to siphon a few dollars off of oil futures, the reality is there's nothing Saudi Arabia – or anyone else, for that matter – can do about rising oil prices. In fact, crude is still on track to reach $150 a barrel by mid-summer. As Saudi Oil Minister Ali Naimi pointed out last week, current oil supplies already exceed global demand by 1 million-2 million barrels per day. For its part, Saudi Arabia is already breaking its own OPEC-imposed production quota limit, churning out about 10 million barrels of oil per day – close to its 12.5 million barrel capacity. Yet the effect of that production has been negligible. Oil is still trading at $106 a barrel on the NYMEX – something that has clearly flummoxed the world's largest oil producer. "I think high prices are unjustified today on a supply-demand basis," said Naimi. "We really don't understand why the prices are behaving the way they are." Naimi and his colleagues may not understand oil's price gyrations, but Dr. Kent Moors, an adviser to six of the world's top 10 oil companies and energy consultant to governments around the world, does. "Despite the excess storage capacity in both the U.S. and European markets and the contracts already at sea, oil traders set prices on a futures curve," said Moors. "In a normal market the price is set at the expected cost of the next available barrel. During times of crisis, on the other hand, that price is determined by the cost of the most expensive next available barrel." And with tensions with Iran running high, we are currently in crisis mode. Pushed to the brink by Western sanctions, Iran has threatened to close the Strait of Hormuz – the narrow channel in the Persian Gulf through which 35% of the world's seaborne oil shipments and at least 18% of daily global crude shipments pass. If Iran closes the Strait of Hormuz, crude oil prices will pop by between $30 and $40 a barrel within hours. Should the strait remain closed for 72 hours, oil trading will push up the barrel price to $180 in New York, and closer to $200 in Europe. The situation is further complicated by potential military conflict – such as an Israeli air strike on Iran's nuclear facilities. And with indications that Iran will have the ability to develop nuclear weapons in the next 18 to 24 months, Western powers have apparently shifted their focus from halting Iran's nuclear program to sowing instability in the country with the hopes of catalyzing a regime change. So what does that mean for investors? First and foremost, it means oil prices are set to go even higher – particularly as we approach the high end of seasonal demand. To be clear, the only ones who stand to benefit from the situation in Iran are commodities brokers. Whether Iran successfully develops a nuclear bomb, Western powers intervene with military force, or the country's political regime is overthrown, the resulting turmoil will lead to an oil price spike. Consider the effect the Libyan civil war had on the energy markets last year: Libya's revolution took oil prices from $83.13 a barrel on Feb. 15 to $113.39 a barrel on April 29. That's a 36% surge in a period of about two and a half months. At that time, Libya was only the world's 17th-biggest oil producer. Iran is the world's fourth-largest oil producer. The country pumps out about 3.6 million barrels of oil a day, which is about 5% of the world's total supply. By comparison, Libya produced about 1.5 million barrels of oil per day prior to its civil war, or about 2% of the world's total. And the situation would be further exacerbated if Iran follows through on its threat to close the Strait of Hormuz. So here are some steps you can take to brace yourself now, if you haven't already. The easiest way to play the looming rise in oil prices is through exchange-traded funds (ETFs). There are several from which to choose, including: The iPath S&P GSCI Crude Oil Total Return ETF (NYSE: OIL), the PowerShares DB Oil Fund (NYSE: DBO), the SPDR S&P Oil & Gas Explorers & Producers Fund (NYSE: XOP) and the SPDR Oil & Gas Equipment & Services Fund (NYSE: XES). You might also consider Marathon Petroleum Corp. (NYSE: MPC) – an oil refiner that was spun-off from Marathon Oil Corp. (NYSE: MRO) in July of last year. You see, production from North Dakota's Bakken oil shale formation – the largest known reserve of light sweet crude in North America – is soaring. It went from a mere 3,000 barrels a day in 2005 to 225,000 in 2010, and could hit 350,000 barrels a day by 2035, according to the Energy Information Administration. Still, despite its upside, Marathon isn't the best play investors could make right now. 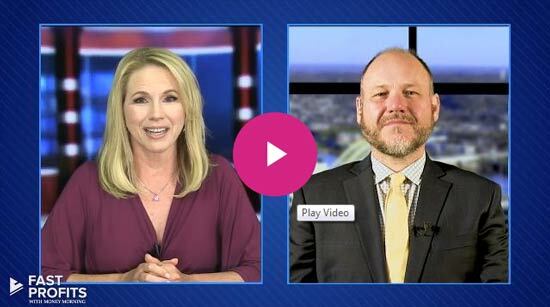 Aforementioned energy expert Dr. Kent Moors actually has the inside scoop on an even bigger profit opportunity – but be forewarned, it's not for mainstream investors. And for Dr. Moors' own in-depth analysis of oil prices and other matters pertaining to the global energy market, be sure to read tomorrow's (Thursday's) edition of Money Morning. You're lunatics. Oil will be below $100 by aug. 1st. Higher oil profits, BIGGER PROFITS for Saudi, and 7 sister oil companies, Even Iran will love it. Record Profits each time, Even After Mex. Gulf oil disaster when oil prices spiked – result record profits. The Bankers and oilers both want higher oil prices, to crash the dollar, will result in higher inflation, and then interest rates have to be raised, and then none of PIIGS will be able to pay back massive debt, and Euro will implode, then U.S. Dollar-Reserve Oil currency will collapse shortly after. Already many countries no longer accept Dollar to trade for oil. China-Saudi's have direct deal (Oil for Yuan), Japan-China trade deal not using Dollar, BRICS all leaving Dollar. (Brazil, Russia, India, China, South Africa). Even India – Iran trade Oil for Gold now. And Oil will hit $200 – $400 if war breaks out with Israel and U.S. and Iran. False Flag setup on the way for Enterprise carrier to be sunk by Israel sub and blame Iran sub. Sailors will be sacrificed by Bankers and Oil to drive up record prices. October Surprise to get Obama-Rama re-elected. I miss some Europe (Sweden) stocks, if possible? I understand US Canada is youre first Choice.